Adds place-able lanterns and candles that can be crafted at a forge using ingots, or candlesticks and lanterns found throughout the game. You will also need candles, which can be crafted out of troll fat at a cooking pot. 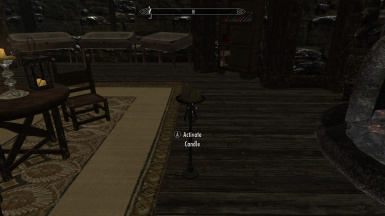 There are also Candelabras, Shrine Bases, and Candlesticks from Sovngarde. 2. Once the item is where you want it, activate it to lock in place. -Added an optional file that replaces all in-game candles with ones from this mod with the exception of the shrine bases (they are usually supporting something like a shrine). 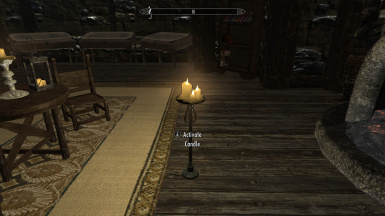 -there was a problem with the optional file where the tall ruins candles originally in the game would end up halfway in the floor. That has been resolved, however, any player placed tall ruins candles might end up slightly off the floor and have to be repositioned. Modified the Wizards Lamp Script to make the lamp stand straight up when placed. 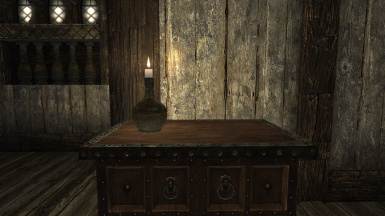 One of the Sovngarde Candles wasn't set to "static" and could still be moved after placing.